New this month from American Express is a more robust version of the Blue Sky credit card, the Blue Sky Preferred card. The points earned with the Blue Sky card are not, it should be pointed out, Membership Rewards points. Neither are they airline miles, and they can’t be converted into airline miles. But that’s a good thing, potentially. As with other flex-points cards (for lack of a better name), Blue Sky points can be redeemed for travel with any airline or hotel, with no niggling capacity controls or blackout dates. Cardholders simply use their cards to charge flights or stays through normal channels, and receive a credit according to the number of points redeemed. Generally, these cards work best for those on the frequent-buyer end of the spectrum—consumers who want to earn travel rewards but who bank most of their points by using a credit card rather than by traveling. Those on the frequent-flyer end of the spectrum are better served by cards affiliated with a specific airline or hotel, or with a card that awards points that can be converted into airline miles or hotel points. 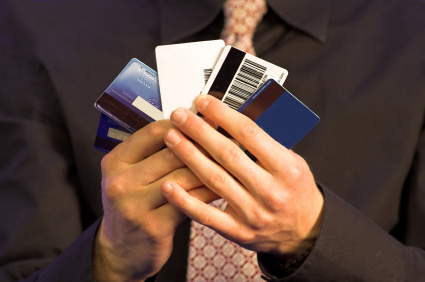 This is a crowded—and competitive—space, with more or less comparable cards available from Citi (Diamond Preferred Rewards), Chase (Sapphire Preferred), and Bank of America (WorldPoints Rewards), among others. Some offer bigger sign-up bonuses—the Chase Sapphire Preferred card awards 25,000 bonus points after charging $3,000 during the first three months. Others come with no annual fee (Citi Diamond), or waive the fee for the first year (Chase Sapphire). And still others award double points for charging airline tickets (Chase Sapphire), where double Blue Sky points are only earned for hotel, car rental, and dining charges. While the Blue Sky’s $75 annual fee is among the highest in its category, it’s more than offset by the annual $100 credit for miscellaneous travel fees. And redeeming 7,500 points for a $100 statement credit amounts to getting 1.33 cents per point for most charges. Redeeming for gift cards nets lesser value: 6,500 points for a $50 gift card means you’re getting just .77 cents for every point. Overall, the American Express Blue Sky Preferred card offers good value, especially for travelers who can take advantage of the $100 annual travel credit, and who plan to use their points for flights or hotel stays. Are you focused on travel rewards (as opposed to rebates or low costs)? If so, is this a card that would work for you, given your normal travel and consumption patterns?